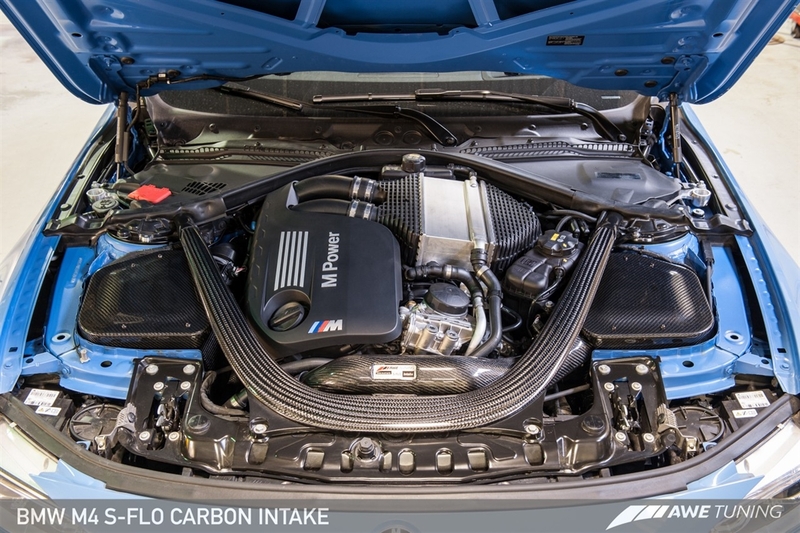 The AWE Tuning BMW F8x M4 S-FLO Carbon Intake is comprised of two fully enclosed carbon fiber air boxes that mount securely in the stock locations, engineered to match up perfectly with the factory air inlet pipes. Together with the AWE Tuning ® S-FLO Filters, the intake unlocks peak gains of 12 hp and 10 ft-lbs of torque at the crank. Each carbon fiber airbox is crafted from high grade 2x2 weave carbon fiber with UV-stabilized resin and clear coat, which means no heat-yellowing. 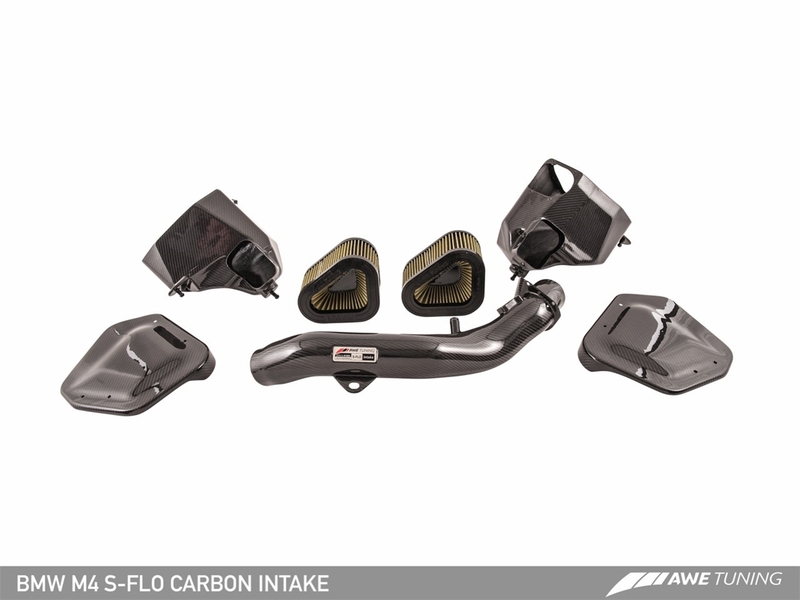 The AWE Tuning BMW F8X M3/M4 S-FLO Carbon Intake includes two S-FLO Filters specifically designed for the F8X M3/M4. These filters produce a more aggressive intake note, releasing a distinctive turbo spool sound. The included AWE Tuning ® S-FLO Filters use a proprietary design that is both durable and washable.